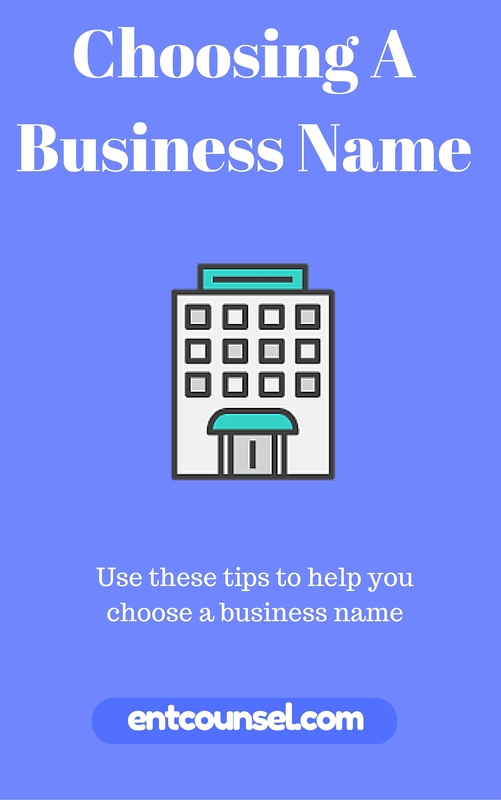 The following article outlines some tips for choosing a business name in accordance with the Canada Business Corporation Act and the Canada Corporations Act. Your name must be distinctive when choosing a business name to distinguish it from other businesses. Descriptive names are not recommended. Unusual or made up words do well. See regulation 30(1). Corporations Canada looks at whether your goods and services are confusing with other business names (whether or not incorporated), trademarks and official marks in the same area. Names that are unusual or unique do well. Names that are descriptive are not distinctive. Made up words or combining words helps make your business name distinctive. If a trademark is registered after your Incorporation, you will need to take certain steps. It is important to remember that when choosing a business name, a corporate name must have a legal element added to it at the end such as Limited, Incorporated or Corporation. You can also use contractions such as Ltd.or Corp. Your business name cannot imply a connection to a branch of the government, entities governed by financial Institutions (trusts, loans, insurance and banking) or educational institutions. You cannot use words like “Cooperative”,“Co-op”or “Pool”,”Parliament Hill”or “Colline du Parlement”, “Royal Canadian Mounted Police”,”Gendarmeries Royale du Canada”,”TCMP”or “GRC”,”United Nations”,”Nations Unies•,”UN” or “ONU”. You cannot have a business name that falsely suggests your company is selling a certain product when it is not. 6. Prohibition of obscene, scandalous or immoral service. Make sure your business name is not obscene etc. You can obtain a Canada biased NUANS report which will search all names found in the database and not just for a particular province. The NUANS search is valid for 90 days. A NUANS report consists of trademarks, provincial and federal corporate names and provincially registered business names (except Quebec). Unless the name has secondary meaning, you must obtain the consent of an individual If you wish to use it in your corporate name (unless they are incorporated or died more than 30 years ago). See Reg. 28. Initials made up of two Initials cannot be the same as other existing business names with Initials and nor can they sound phonetically the same. If there are three initials, it cannot be the same or confusingly similar to another name. It also cannot be the same as another name where all the initials are the same except the last one. With three initials, you cannot have a name where the initials are in the same order as the initials in the corporate name or it will be considered confusing. Reg 20 deals with inactive corporations. You cannot use the same name or the same distinctive element as an inactive corporation for a period of two years. You can add a distinguishing feature which cannot be removed after two years. You cannot have a name where the initials are in the same order as the initials in the corporate name or it will be considered confusing. Words that are commonly used for non-profits such as “Institute” or “club” are not likely to be approved by Corporations Canada. You may be interested in our article Business Plan Outline: The 10 Slides Every Pitch Deck Needs. Innovation, Science and Economic Canada have a good article on choosing a business name. Subscribe below to download the PDF.